In the late sixties, Terry Talbot and his younger brother John began playing music in Chicago. A friend and local record producer suggested they do what they were best at, an amplified country rock sound, as influenced by The Byrds. 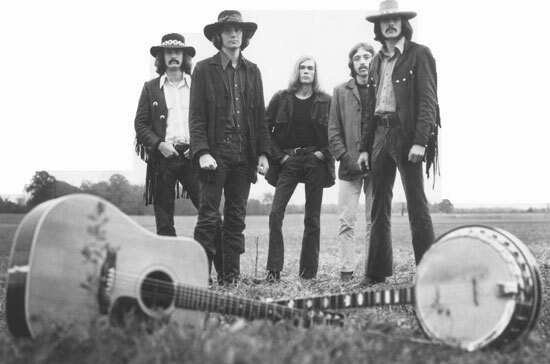 The brothers formed a band, Mason Proffit, and released their first album in 1969. Terry was 21 and John, who had dropped out of school to play music, was 15. There is Christian rock, the musical direction the Talbots took after the band broke up, and there are topical songs, like “Two Hangmen,” which was banned by the FCC. The lyrics seem tame to us now – “He was guilty then of thinking, a crime much worse than all,” – but in 1974, the Nixon administration was fanatically paranoid. If you are still reading this post, you may be wondering why I would write about a band that broke up 40 years ago and that few have ever heard of. It’s because lately, one of their best songs, “Flying Arrow,” has been playing in my head. Several cuts on “Come and Gone” focus on the plight of Native Americans. On that level alone, the song is outstanding. “Flying Arrow” tells a heartbreaking truth that is all too apparent in towns likeFlagstaff and Gallup. Mason Proffit lyrics are seldom one dimensional, and this song is far more subversive than the one that was banned. As it builds to its climax, “Flying Arrow” holds up a mirror that was all too familiar then and is all to familiar now, in light of the current events, right now, right here, this month, this week, in this nation. The kind of morale that turns football games and nations around, was in play when the song was released. We understood the song, got the poetics, the gist, but didn’t truly believe we were dying as a nation. Not then. Call it the optimism or arrogance of youth, but enough people believed and acted on those beliefs that things turned around. For a time. What’s the temperature now, what’s the morale like? How is the optimism level? What do people believe? This song remains a living thing for me, because now, 40 years later, sometimes I truly feel that as a nation we’re already dead. Terry Talbot still plays with “The Mason Profit Band.” You can visit their website here: www.masonproffit.com. A half dozen free downloads of recent songs are available. John Michael Talbot sings gospel music, has formed a Catholic monastic community, and has recently published a book on the Jesus Prayer. His website is here: johnmichaeltalbot.com. Mason Proffit’s original music, including “Come and Gone,” is available on iTunes. This entry was posted in Culture, Music and tagged Come and Gone, Culture, Flying Arrow, Mason Proffit, Music, Native Americans. Bookmark the permalink. You and Mason Proffit say it well. Thank you for this profound post. What will it take to awaken us? I wonder…. 1) A constitutional amendment to repeal Citizens United. There is no hope as long as elections go to the highest bidders. Sen. Bernie Sanders, Independent from Vermont, has been trying to coordinate such an effort in each of the 50 states. A link to his website is in my blogroll. 2) We need something or someone to catalyze the growing rage in the country, that now gets channeled into peripheral issues (Obamacare, immigration, Syria, etc) that miss the heart of the problem. The anger explodes every 6 mo. or so in a mass shooting, and plays out every day in such antics as playing chicken for parking spots at the mall. Some charismatic leader to start a populist 3d party? Someone like Elizabeth Warren? Third parties may not win elections but they can ask important questions and shift the national dialog. Ideas are floating around – there are many more. I guess the main thing is for concerned people not to give up! I just spotted a good article from a link on billmoyers.com called, “Ten Ways to Democratize our Broken Economy.” http://billmoyers.com/2013/09/26/ten-ways-to-democratize-our-broken-economy/. Wow! I had no idea that John Michael Talbott was part of this band. Thanks for this Morgan. oh, k! Coming from Earl, that’s a big compliment! I love the banjo and even dabble a little bit in playing one. I first heard Terry Talbot’s Potters Clay when I was 14 yrs old – on a cassette player in Yugoslavia. Didn’t know of Mason Proffit then. Now I’ve got the old vinyl records of them. Very interesting that you heard him in Yugoslavia! My vinyl copies are long gone. Thanks for your comment.